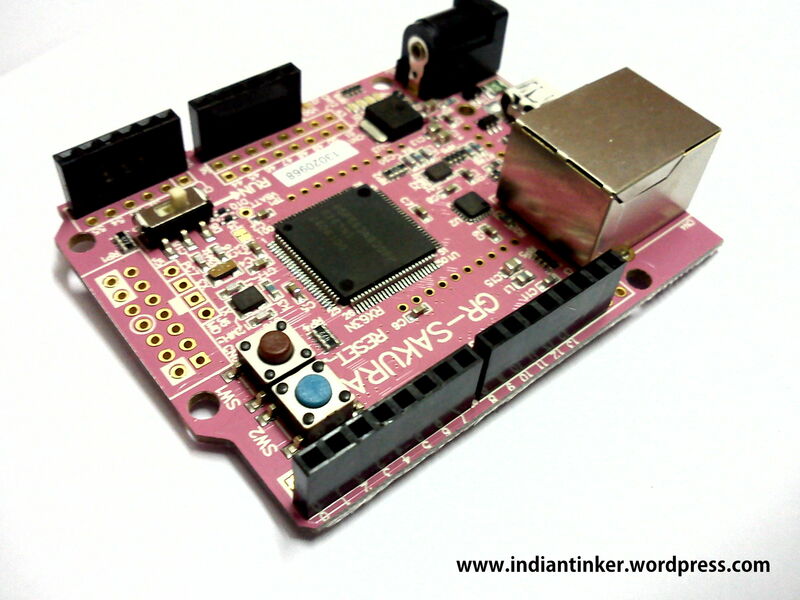 I recently got a cool new development board by participating in a competition by India`s premier Electronics Magazine- EFY or Electronics For You. 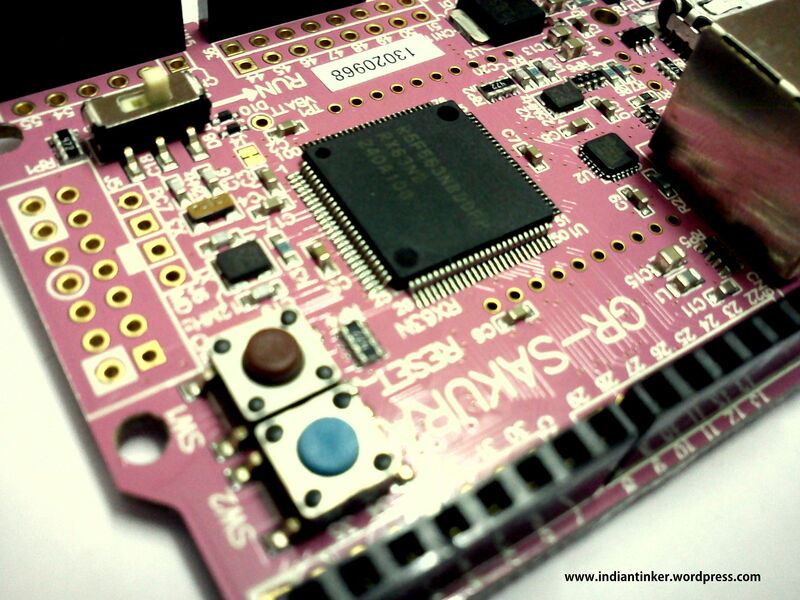 The board is a Renesas Rx-63N microcontroller based developement board that has been coloured quite interestingly. 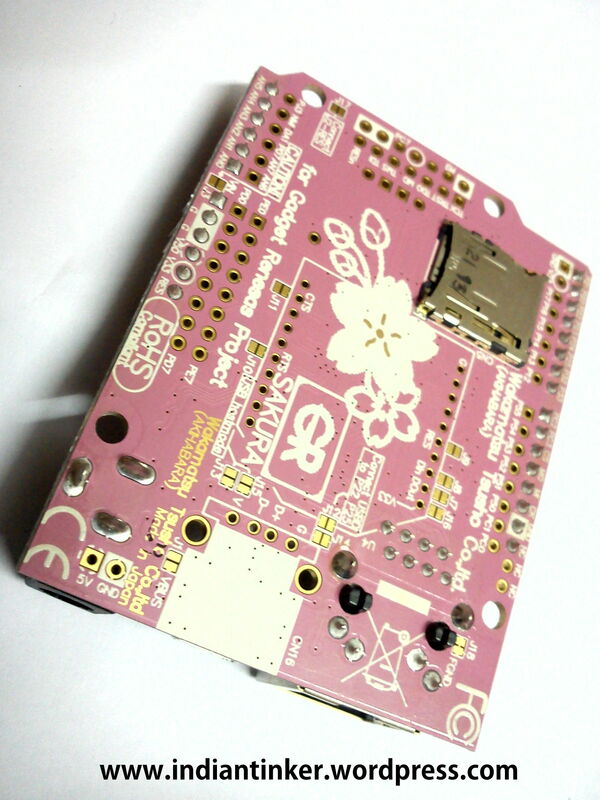 It has a ‘PINK’ solder mask. Thats quite rare color for the solder mask. 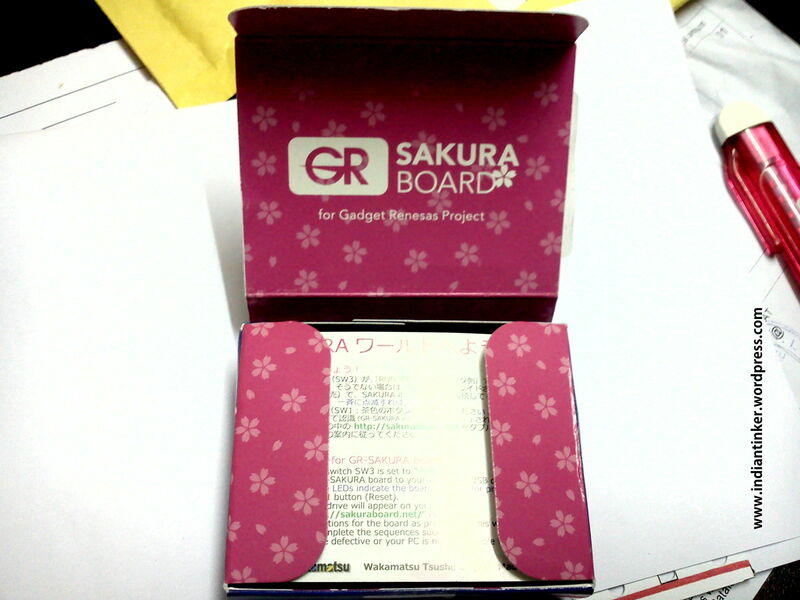 The word ‘Sakura’ means Cherry Blossom which is probably pink in color and hence the justification of pinkish tone of the board. 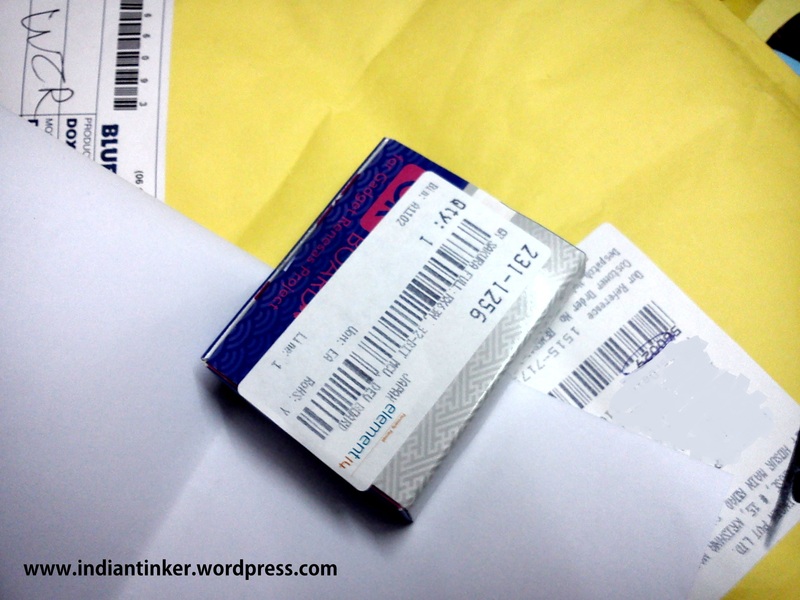 So Lets not waste any time and see what we have inside this tiny little package! 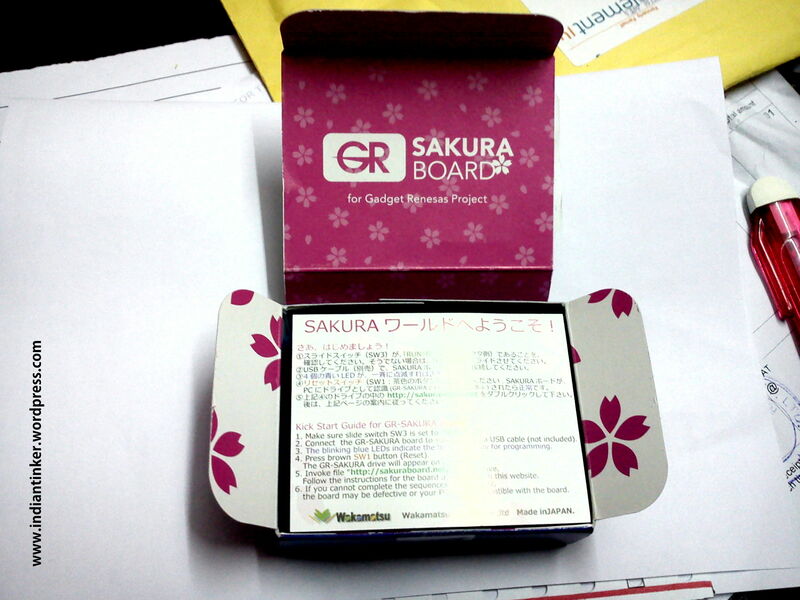 The first thing you see is the getting started card with text in both English and Japanese. The box is about 2.8 X 2.4 inches and nicely done. Here`s what the getting started slip has to say! 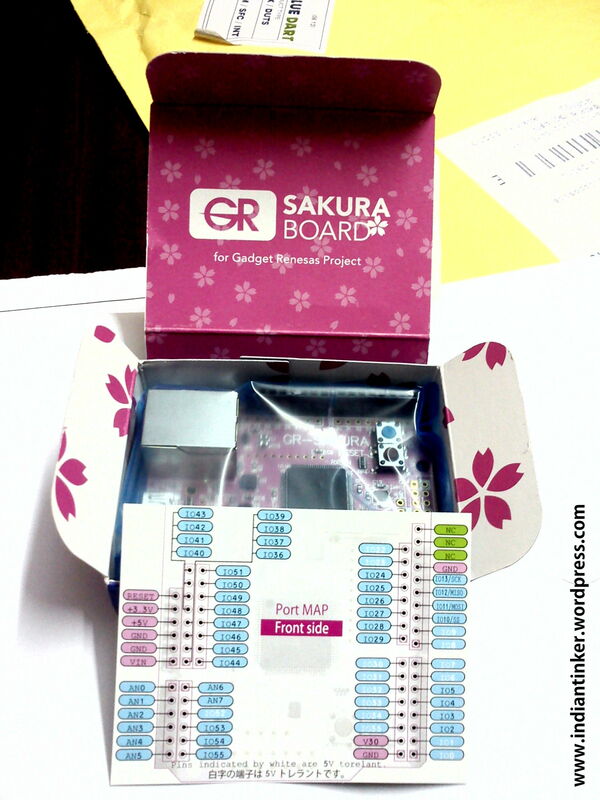 We can see the pin map and the board has an Arduino form factor. 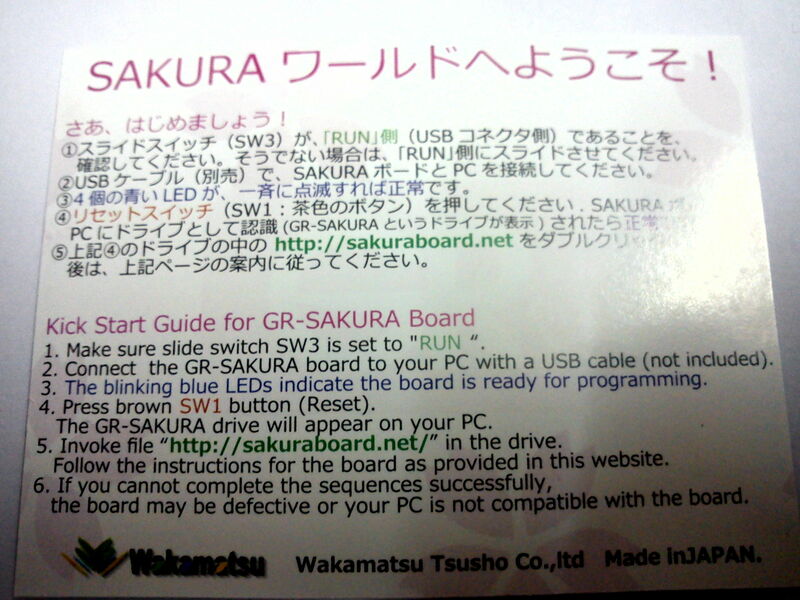 Behind we have the SakuraBoard in a bluish bag, probably ESD Proof. Some pins are 5V tolerant and are indicated in white color. 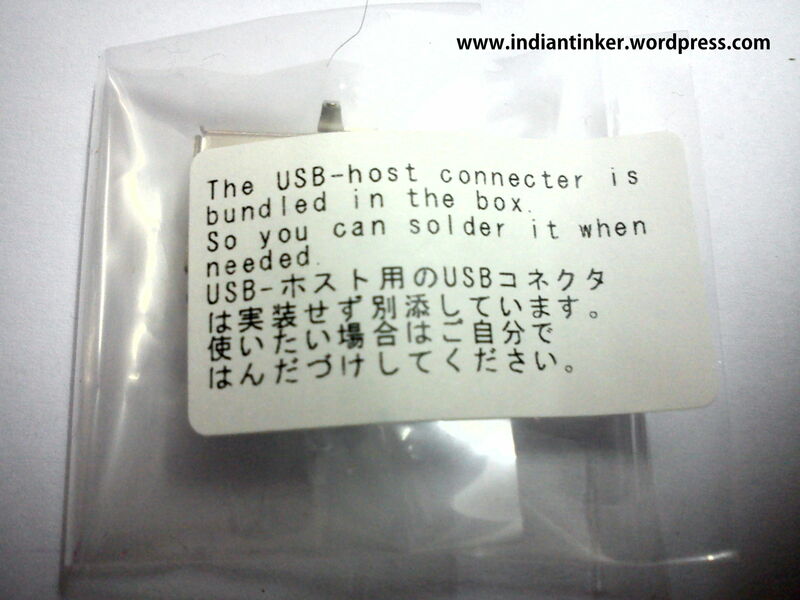 We have a USB host connector for our USB needs. It hasn`t been soldered as that would make the board uneven from the bottom and hence, difficult to pack! 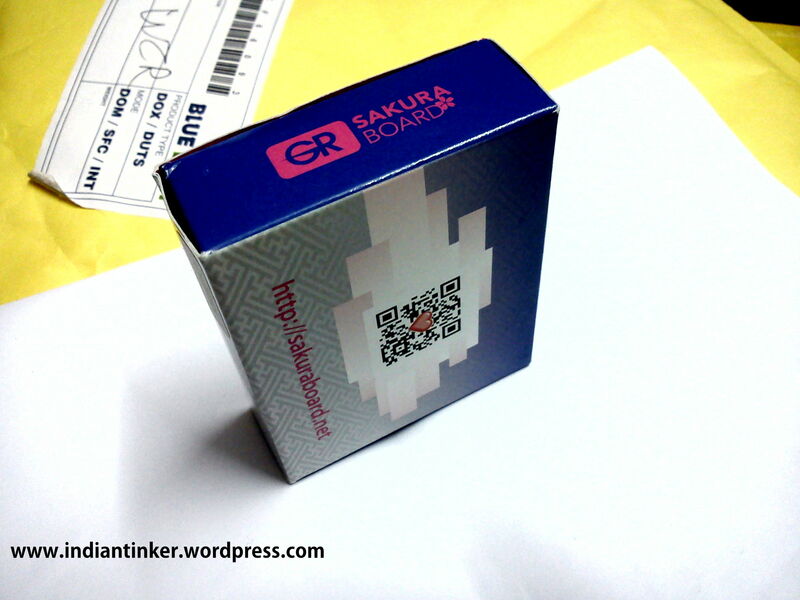 Now lets unwrap the blue bag and meet our new Sakura Board! This was what the massive guy has inside it. SD Card for data storage,Un-populated XBee and USB Connectors and tons of solder bridges to customize! This is probably the prettiest board i have seen.The pads,holes and vias are done very beautifully in ENIG to make them last long. There are mounting holes at same spots as Arduino Duemolive. The R5F563NBDDFP controller is in the LQFP form and probably machine soldered. 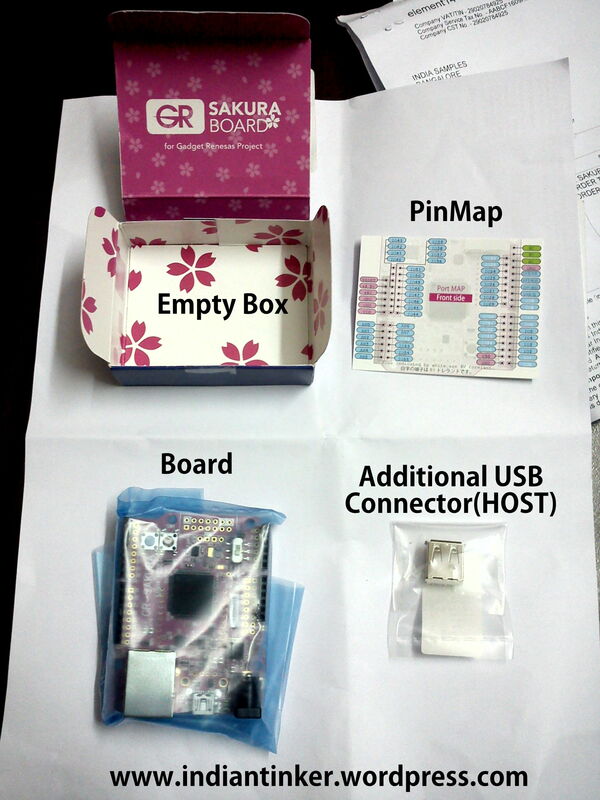 On board we have tons of features and the best part is that most of the board is Arduino Compatible not only in Hardware and well as software, this means you can use Arduino type IDE for Sakura Board too, better its web based ( will talk about it in the next post) and most of the arduino shields are compatible. Thats the WoW Factor! //Means you can just compile code and drag and drop the .bin file into the device when it enumerates on the USB as a Mass Storage, Voila programming Done! //On Board USB host.. WoW.. You ‘might’ be able to connect you keyboard,mouse and other USB devices. //There is an MicroSD card which can be used to log data and can be used to run music files etc. //There are unsoldered XBee Pads to connect your own XBee. 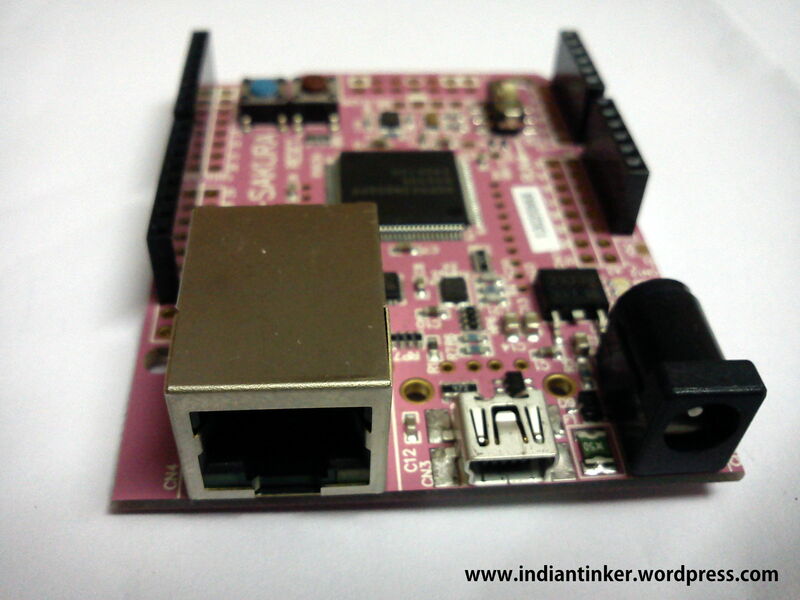 ▶4 User LEDs and 1 User Switch..
That`s equivalent to an Arduino+Ethernet shield+SD cardAdapter+XBee Adapter+USB Host Shield. If you need more information about the board, you can see this. 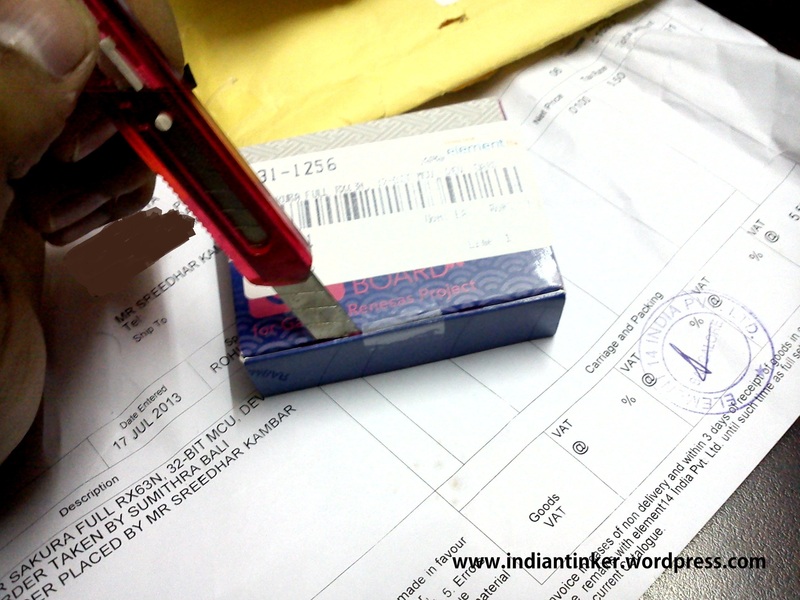 Hope you like the unboxing post. If you want me to try anything on this or if u have any questions, feel free to comment. 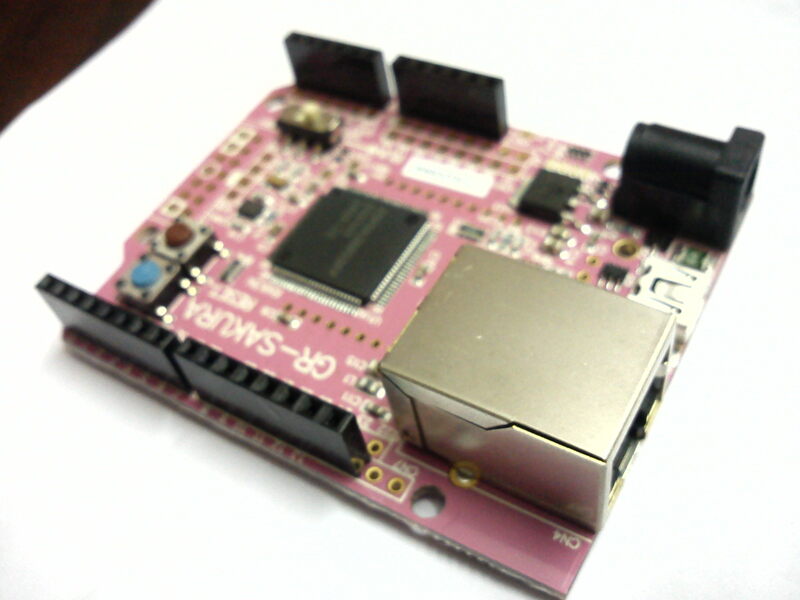 If you made a dev board/shield and want it to be un-boxed/reviewed you can contact me here as well. Stay tuned to see what happens when we play around with the web IDE for the board.